KSKA radio, KAKM-TV, Create TV, PBS KIDS, and alaskapublic.org. Alaska Public Media also operates the Statewide News and a shared television service with KTOO in Juneau and KYUK in Bethel. Alaska Public Media and its affiliates deliver content that reaches 97% of the population of Alaska. Alaska Public Media offers trusted, award-winning national programming including Morning Edition, Nova, Masterpiece, and Frontline. The company also produces Alaska-specific programs including Line One: Your Health Connection, Alaska Morning News, Alaska Economic Report, Talk of Alaska, Outdoor Explorer, Alaska News Nightly, Hometown, Alaska, and Alaska Insight. Additionally, it produces podcasts such as Iditapod and Midnight Oil. Speaking about public media in Alaska before the board of directors of the Corporation for Public Broadcasting. Sept. 2012, Washington, D.C.
Alaska Public Media partners with an array of local, regional and statewide organizations to achieve impact. Alaska Public Media’s partner portfolio includes the Alaska Community Foundation, Alaska Native Heritage Center, University of Alaska System, Alaska World Affairs Council, Alaska Department of Fish and Game, Alaska State Council on the Arts, Food Bank of Alaska, Alaska Creative Woodworkers Association, Anchorage Economic Development Corporation, The Alaska Zoo, Anchorage Park Foundation, Anchorage Museum, Anchorage School District and many more. Alaska Public Media was founded in 1975 as KAKM TV. In 1994, KAKM merged with KSKA public radio to form Alaska Public Telecommunications, Inc. In 2004, the company merged with APRN. Alaskapublic.org was launched in 2011. In 2012, the company agreed to share TV services with KTOO in Juneau and KYUK in Bethel. 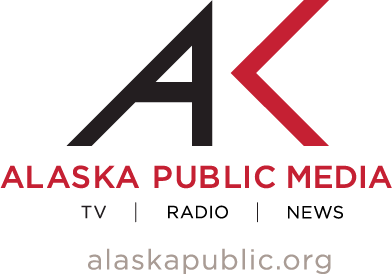 Alaska Public Media has more than 8750 members. Alaska Public Media TV is also carried in Bethel, Juneau and major cable systems in Alaska. Members make public media possible. 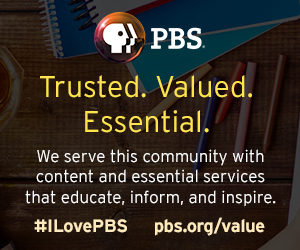 Learn more about ways to support Alaska Public Media.